The CentOS team will have a booth at the cPanel 2016 WEIRED Conference in Portland, Oregon at the Hilton Portland & Executive Tower on October 3rd through the 5th 2016. 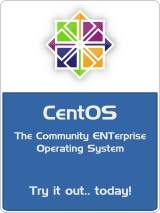 I (Johnny Hughes) will be there to discuss all things CentOS and we may have some guests at the booth from some of our Special Interest Groups and others from the CentOS Community. If you are planning to be at the conference, please stop by and see us.